Performing the QC inspection checks for approving incoming materials, in-process production and finished products by confirming specifications, conducting visual and measurement tests, rejecting and returning unacceptable materials, communicating required adjustments, returning products for re-work, confirming re-work to Production engineer and senior reporting line. Verifying correctness and Documenting inspection results by completing reports and logs; summarizing re-work and waste; inputting data into quality database. Ensuring all inspection requirements are completed prior to issue/signing of release note for production. Ensuring adherence to all relevant construction drawings, applicable specifications and work codes. Liaising with Dimension Controller and Inspection Data Input to carry out dimensional check and suitably keep data record respectively. Reporting problems or concerns to senior reporting line immediately. Updating QC job knowledge by participating in educational opportunities, reading technical publications. Supporting Service Engineer on the duties as assigned when working at customer site. Minimum 1-3 years QC Inspection Services experience in Boiler Power Plant. Required RT Level II, other methods such as UT, MT, PT, VT desirable. 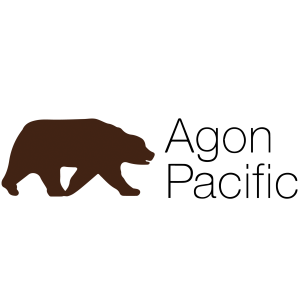 Ability to interpret engineering drawings (AutoCAD), specifications, work codes etc. Ability to work at overseas. เพศชาย อายุ 22 ปีขึ้นไป ผ่านการเกณฑ์ทหารเรียบร้อยแล้ว. วุฒิการศึกษา ปวส. - ปริญญาตรี สาขาเขียนแบบอุตสาหกรรม เครื่องกล หรือสาขาที่เกี่ยวข้อง. Handling activities and documents related to account payable and contacting suppliers about their invoices. Recording cash advance requests and clearing cash advance. Preparing summary reports of the monthly expenses such as electricity, mobile phone, car parking, photo copy. Producing error-free accounting reports and presenting their result to reporting line. Updating professional and technical knowledge e.g new accounting rules and regulations, related taxes, related laws, etc. 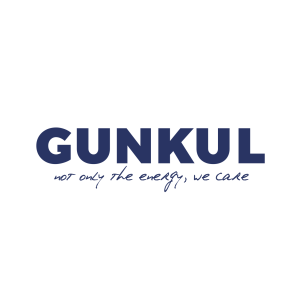 More information: www.gunkulroof.com หากมีประสบการณ์ในธุรกิจพลังงานแสงอาทิตย์ จะพิจารณาเป็นพิเศษ. To presenting sales in various forms, introducing projects and consulting. To meet the needs of customers. To coordinate with related agencies to make inspection and contract documentations. To check the accuracy of the documents for the consideration of the offer. To create sales points, set tasks to attract customers into the project. Male or Female, age 27-35 years old. Bachelor's degree in Marketing or related fields. At least 5-8 years of sales experience. Strong knowledge of the solar industry preferred will be considered in advance. Good personality, and good communication skills. Able to drive a car with driver's license. And occasionally travel from provinces. Manage Performance Management System for the organization by planning, developing, executing and monitoring system in order to ensure all stakeholders work towards objectives that contribute to the organization. Lead the adoption and implementation of coaching and performance evaluation process/feedback to ensure employees are meeting their objectives and support career goals. Manage the process of evaluation and calibration and alignment of performance results to ensure fairness and correctness for using as parameters for determining benefits. At least 5-7 years of experience in Organization Development and Performance Management function. Computer literacy in MS Office, Adobe Photoshop and Multimedia. To Design & Estimate of the Electrical distribution system and High-Low Voltage system Project, Electrical station, solar Rooftop or related field is an advantage. To attend discussions/meetings/ tender briefing/interview with clients as required. To check and obtain all equipment data sheets / Information to input to the drawing schedule list. To co-ordinate & follow up with working partners and colleagues on the drawings. Bachelor's degree in Power Electric Engineering or related fields. At least 3-5 years of experience in Design & Estimate of the Electrical distribution system and High-Low Voltage system Project, Electrical station, solar Rooftop or related field is an advantage. Have experience in coordination with government organization is preferred. Good command of MS Office & AutoCAD 2D. Have an Engineering the practice of the Associates will be considered in advance.